Ever felt like a bottle of fizzy pop? Having been shook up and just waiting for someone to knock the cap off for you to explode? I’m sure we’ve all felt like this at times. Having something build up inside of us, that awful trapped feeling when you just don’t know when or where you’re going to break down. This is a coping mechanism that many of us use, including myself. Instead of reaching out and talking about how we’re feeling, we let it build up to bursting point. 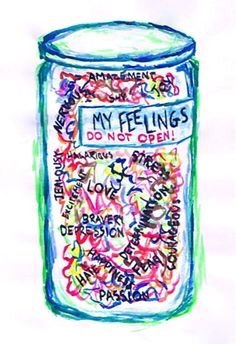 For example, I tend to bottle up all my feelings throughout the week till I go to therapy. Then I just let it all out, let the cap off the shook up bottle of pop and have my built up feelings explode. Then repeat. Let the feelings build up again. They’re not too noticeable at first, but as situations in the week come about and ‘shake me up’ it gets more and more difficult, then by the time therapy comes around, I’m ready to burst. What we really should be doing is confiding in someone about how we’re feeling throughout the week. Making little punctures in our bottles of pop. Letting out some of what’s been shook up. A controlled amount that will reduce the overall anxiousness, so that it doesn’t all come to bursting point. So we can have more control over those emotions. This could mean talking to your parents, a friend, a college or calling up your therapist/helpline during the week so that you have a release. So that you can make those holes in your bottle of pop. I know that feeling all too well. I still struggle with letting my emotions free.